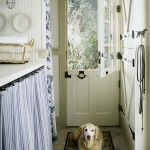 Here’s what I’m hooked on today–this charming Craftsman Bungalow that I spotted over at Lookiloos. I love everything about it, from the front porch to the pergola in back. The entire home was lovingly renovated. There are “secret hiding spots” on each floor, like a hidden room off one of the bedrooms, and another underneath the stairs. There’s even a clever hide-away for the dog food bowl in the kitchen! Go to Lookiloos to take the full house tour. Be sure to scroll all the way down to the bottom of the page to see the entire slideshow. If you like Craftsmans as much as I do, then you won’t want to miss a single photo. 21. Katie-European Kitchen Remodel DONE! 27. Diana@TheDevineHome (You\’ve Got Mail)! 54. Leila –What should a family room look like? NOTE: IS YOUR LINK MISSING? That means you linked to your general blog address and not a specific post, and I couldn’t figure out which post was for Hooked on Fridays. Please remember to use your post’s permalink and to link back to the party so there’s no confusion. Everyone makes mistakes–-just fix it and try again next week! I love Craftsman Bungalows. So much. I have vowed not to move until I can move to the craftsman bungalow of my dreams. I love this house, it’s so pretty!! The kitchen is perfect!! Beautiful kitchen. Love the openness and counter space. Wow! Thanks Julia. This was one of my favs. The house is wonderful but so were the owners! I think I love everything about this house. Like in love. Seriously. I think it is possible that it was meant to be my house, but cruel fate thwarted my destiny. My last house was a Craftsman-influenced colonial, and I miss all the builtins and wood trim. I love the kitchen in this house. I’m so glad you do Hooked on Fridays. It’s almost the only time I post anymore. I must need the structure- ha! This house is yummy- thanks for sharing. Have a great weekend! Thanks for having the Friday Blog Party. I linked to a link that shows what I’m hooked on and then I linked to your blog on my Blog for today…that was the best way I could think to do it. 🙂 I LOVE your blog! You always have the BEST posts and I really appreciate all the work you put into your blog! 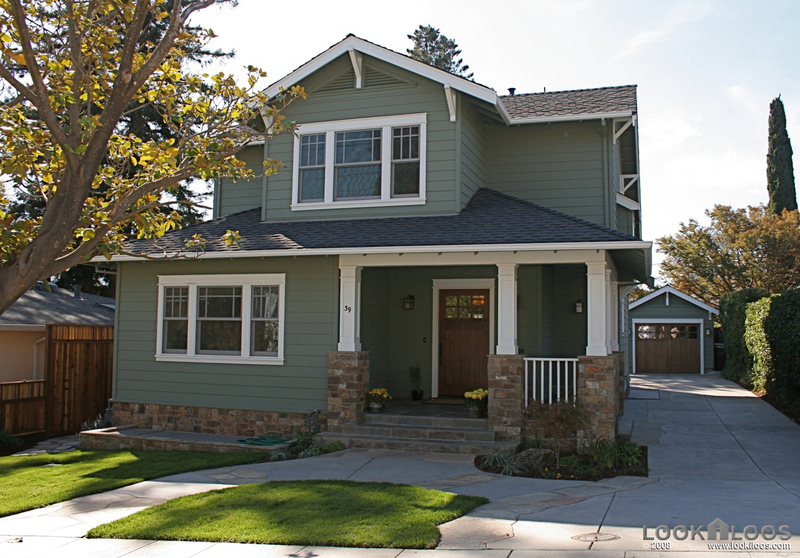 Love the Craftsman home you are featuring…you always find the best of the best! Susan’s last blog post..Hooked on Fridays Blog Party and Foodie Friday…A Double Post! Me too, love the kitchen, the island is fantastic. Thanks Julia again for hosting this great party! Visiting the Delta I have seen a lot of wonderful houses. Some looking very much like this one…Love them all!! Gasp: 901 to 3200 square feet! I like the beams. I like the blue mixed tile backsplash. Valerie says this is the kind of home in precious little fluffy diva would love to live it…Oh so dreamy!!! I could easily see my family and I settling into this house! It’s beautiful! Thanks for sharing! And thanks for hosting Hooked On Friday’s! All linked up 🙂 FUN! Karla’s last blog post..What Am I Hooked On, You Ask? Very cute house! I’m currently hooked on my vintage Biedermeier chaise.. LOVE it! i love all the windows on the first floor. the masterbed room was nice. but i personally…..love more mirrors. not many mirrors in that house. 😉 and the dog bowl. unreal. my dog is like a little hog. she would have never kept that area so clean. its a cute idea. but, it wont rock in my house. the piglet needs to be messy. infact when she is a little ticked at us she kinda spreads her food around the kitchen. Well I’m back, I hope I have done all the right things to link to you this week, last time I was lost in the system. Drop over and have a look, however you do have to scroll down through a few of my images to get to my post section, it’s just the design of my blog. I,m hooked on so many things at the moment, especially bogging and blogging parties. I have a post on beautiful old images of vintage hats, I love them. christy’s last blog post..Be a sweetheart and fix mommy another martini…. Craftsmans are hands-down my favorite architectural style! I never grow tired of looking at them, so this was a wonderful treat this morning! Thanks for posting! I love that bungalow and I love where it’s located – Los Gatos! My husband was living there when we met. It’s a wonderful California town full of renovated bungalows. I could live there!! Can’t wait to share this post with my husband. Thanks Julia – you find the best houses. LOVE this house!! Thanks for hosting your Friday parties! I look forward to them every week!! 🙂 Hope you have a wonderful weekend!! I LOVE craftsmans! It’s beautiful! Bungalows are my absolute favorite style of home and this one is beautiful. I’ll take it!! What a pretty house! The window at the sink is so beautiful! Thank you for hosting another party! I really love visiting everyone and seeing what they’re hooked on. We lived in Los Gatos for awhile when I was a child, I remember it well. We were there last year, it is an awesome little community. That is so cool to see! I LOVE the kitchen in this Craftsman! And the bathrooms are great, too – that’s my next project! Okay….so I haven’t quite figured this out yet! How to link to my post WITHOUT just linking to my whole blog! So I linked twice, because I couldn’t figure out how to go back in and fix it or delete it, on your site. I am so sorry! You have to help me again. Please email me, if you can and tell me what I should be doing! Oh man, houses like that make me wish I were rich and could have the perfect house where someone else did all the work for me. That was such an awesome remodel. A lot of people are having trouble with this today, so don’t feel bad. I’ve had to delete quite a few links because they weren’t inserted correctly, or they were the main blog address instead of the permalink to the post. If there’s a mention of Hooked on Fridays and a link back somewhere on the blog, then I edit it for them. If I can’t find any sign of which post they meant to link to, I have to delete it. I know it’s confusing to a lot of people until they’ve done it a few times. To get the permalink, all you should have to do is right-click on the title of the post you want to link to, copy, and then paste into the Mr Linky. If anyone is still confused, click on the link I put on the word “permalink” in the post, which will take you to a more detailed explanation of what it is and how to copy and paste it. Thanks so much for the link! I can’t wait to see everyone’s posts. The Craftsman is to die for. Why can’t they make houses like this now?? 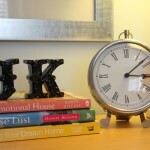 Leila’s last blog post..What should a family room look like? I love, love, love Craftsman Style Houses. I love that quarter sawn oak look that craftsman furniture evokes. I can’t believe that Sears used to sell these houses as kits… Thanks for the link! I just love all the fun stuff we get to see on the weekend 🙂 I love checking out what other’s are in to! Tamara’s last blog post..Hooked on Keepin’ It Fun! I like the kitchen, but not the back splash. I also love the bathrooms! Is that a homeschooling room with the chalk board and maps? Love that! A trip down Grand Bpulevard! Lot of the houses look like this one ! That is my first time participating to this carnival. I love all the links here! Have a great day! Elodie’s last blog post..Homeschooling and books update! OMG, I love it. I love Craftsman style! I’d like to move in right away! Mom in High Heels’s last blog post..Fasching! Hi-yooooooooo! I love craftsman style houses. Thanks for the pictures. I’m hooked on Springtime. I can’t wait for Spring to arrive. hey ! !Yeah I figured it out..Helps if you read the instructions!!! I am one of those you know trial and error kind of people…Sorry!!! Thanks for being so sweet! what a great idea putting a dog bowl in a drawer, very clever. I thought the wooms with nothing on the windows looked a bit cold, it must be strange at night…and the home owner scared me with his pale white skinny legs…. what a great idea putting a dog bowl in a drawer, very clever. I thought the rooms with nothing on the windows looked a bit cold, it must be strange at night…and the home owner scared me with his pale white skinny legs…. Ohh I’m so glad I found this site!! I love houses. Old houses. I’m currently taking photo’s of very old houses in my area of NJ where I live and saving them in flickr. 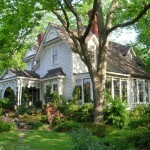 My house is over 100 yrs old and I love it! So you will see me here as a regular. Keep up the great work!! jodyangel’s last blog post..Getting ready to Work. Well I tried to do it right, but somehow managed to get in there twice, but it does go to the correct post…maybe I got it partly right. Not a good day! rue’s last blog post..Has it been 4 days? I’m baaa-accckkk. I’ve missed you. 🙂 Isn’t this house a peach?? I have to say, I love the Craftsman style…and since we were in Colorado, I kept telling Mike he needs to work on retiring (’cause I’m nowhere near being able to make that happen!) so we can live in a Craftsman in the mountains with our dog(s). (We’d get more dogs if we were in the mountains, natch. 😉 So I’ll have to show him this house to gently guide him…I love Lookiloos so I’m sure I’ll love the house. SO close but NO cigar. 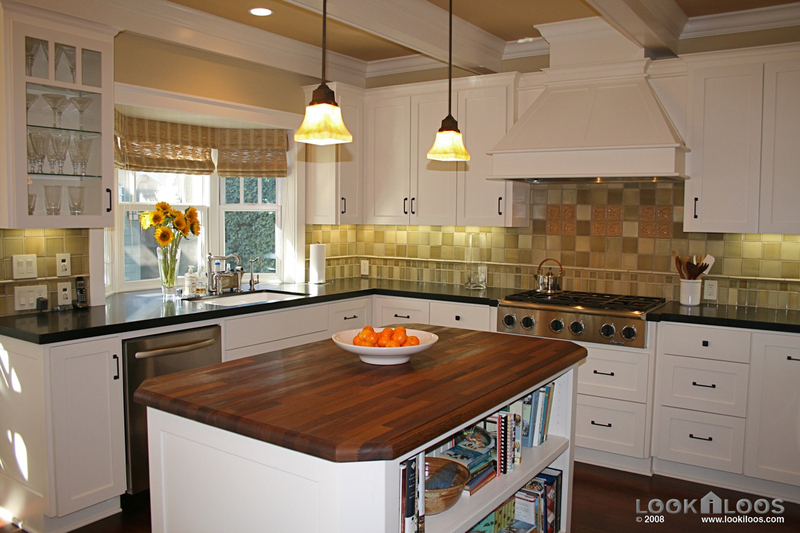 I want them to have had wood/stained trim instead of white painted and a prep sink in the island. And use a creamy pale white (like Benjamin Moore Greek Villa)on the walls instead of yellow, and plop it down in MY neighborhood and sell it to me at a price I can afford. THEN it would be perfect! The house really looks good! I want to have such house model, although it is called remodeled. I thought of somewhat like renovation of my house to look it spacious and very anew. Thanks much for the idea!